Accepting card payments nowadays has become a traditional method of payment, alongside cash. But the more often we use our PIN code, the higher the risk of someone gaining access to our funds. With that said, most people don’t know that merchants are just as responsible for protecting customers’ PIN numbers as their owners. 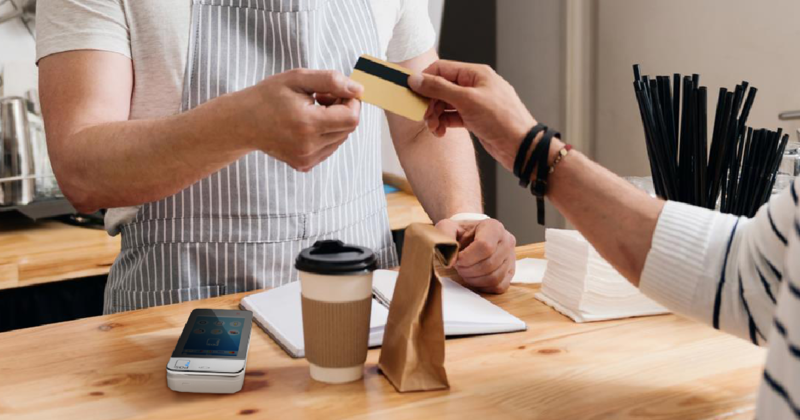 Besides the careful selection of payment service provider and POS terminal vendor, there should be a few more simple things that would help your customers feel safe when paying for your products or services electronically. Privacy protectors are a great solution for touch-screen POS devices with bigger screens. Their primary function is to keep the device’s screen from scratches and damage, thus extending its durability. In addition, they also protect the customers’ privacy by making the screen invisible for anyone besides the user. Everyone looking from a different angle will see nothing, as if the device has been turned off. This design is at the core of the myPOS-developed privacy protector for the myPOS Mini Ice. Protectors for our other devices will be coming soon as well. Please make sure to regularly visit our online store for updates on them. Users are getting more and more concerned about the fingerprints left on a touchscreen POS device. The fingerprints left after PIN code insertion will remain and may be viewed by the next user or by the employee behind the register. And if someone can see the fingerprints, then they can deduce the PIN number relatively easily. Some devices like the Android-based myPOS Smart and myPOS Smart N5 come with the functionality to shuffle the digits on the screen every time a new PIN code is being inputted. This is how the payer’s PIN is being protected. This solution though is valid for the smart devices only, where apps can be installed. For non-Android touchscreen devices the user is being protected with a touchscreen pen. The pen never leaves fingerprints, even if there’s no screen protector installed. myPOS will soon provide branded touchscreen pens in its online store to help merchants protect their customers’ PIN privacy. Selecting the place where the terminal would be on the checkout desk may be crucial for customers’ payment experience. Keep the space around the POS device clear of items, brochures and other ad materials that may obstruct card or PIN insertion. If you have any questions, please don’t hesitate to contact us at help@mypos.com! We’d love to help you and answer your questions!